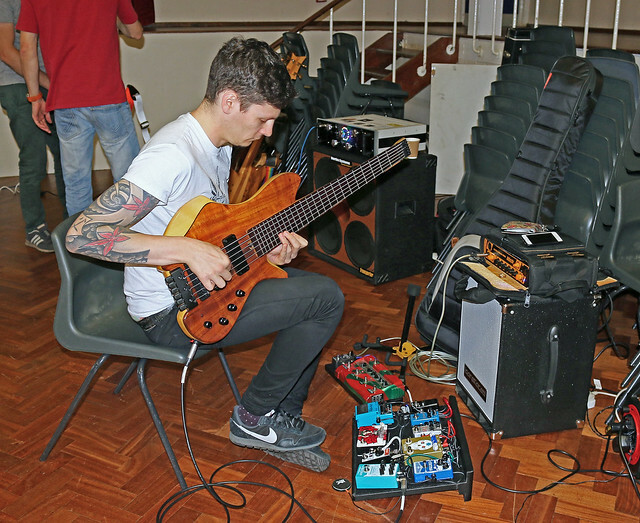 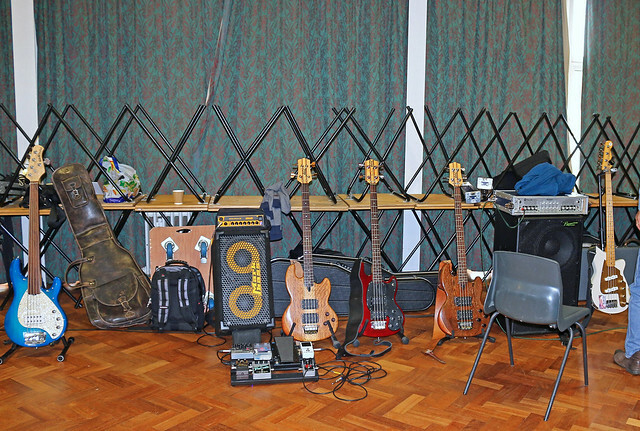 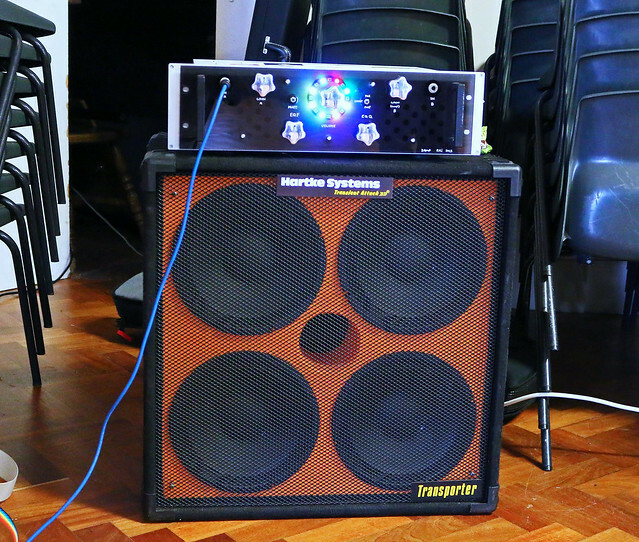 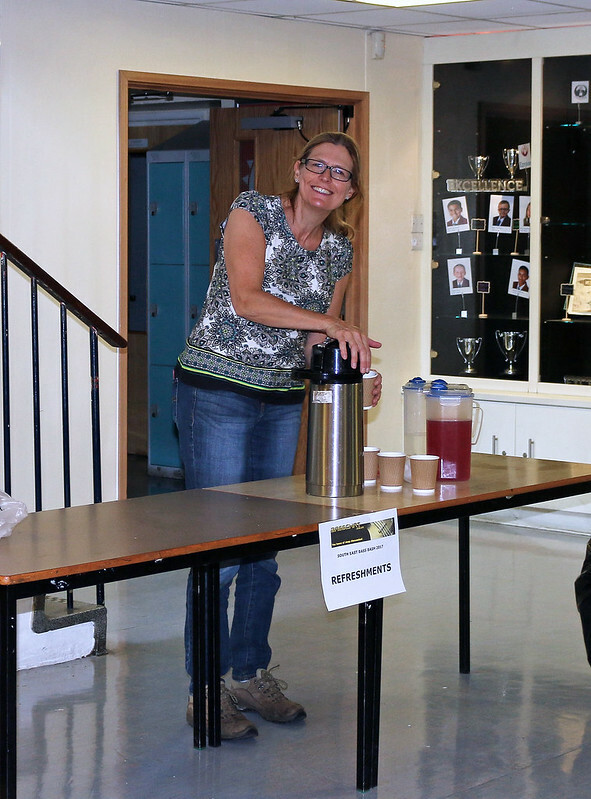 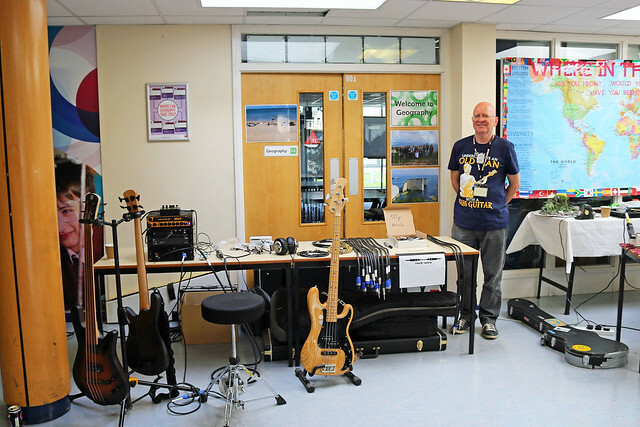 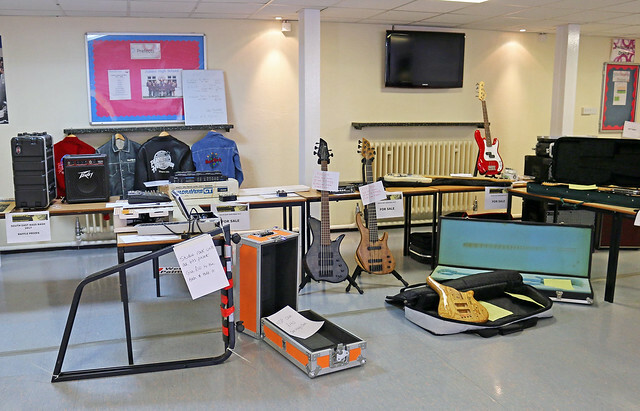 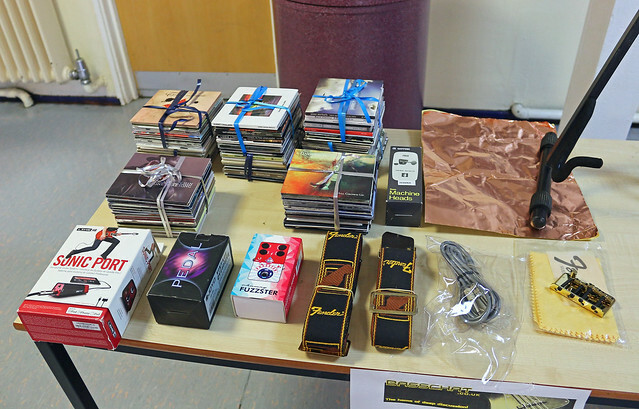 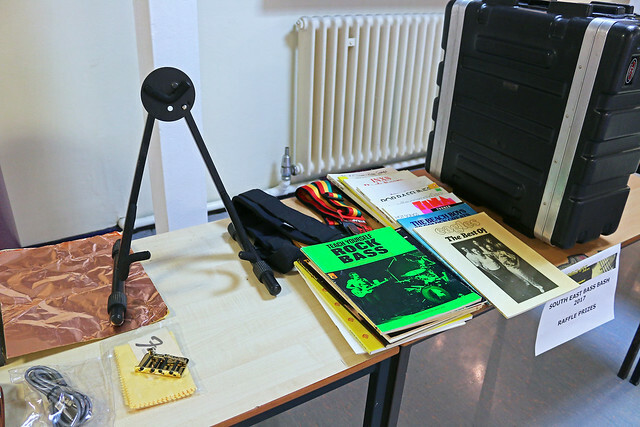 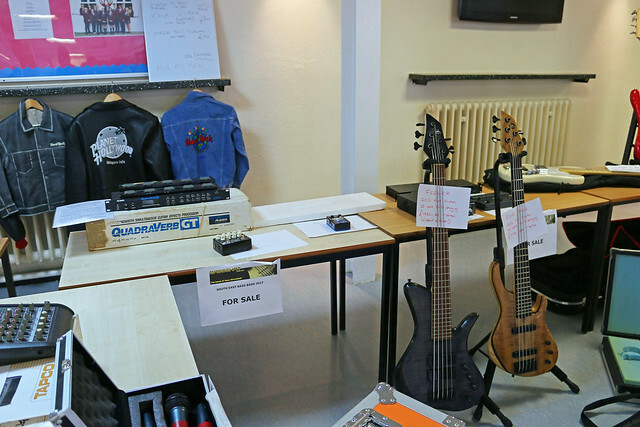 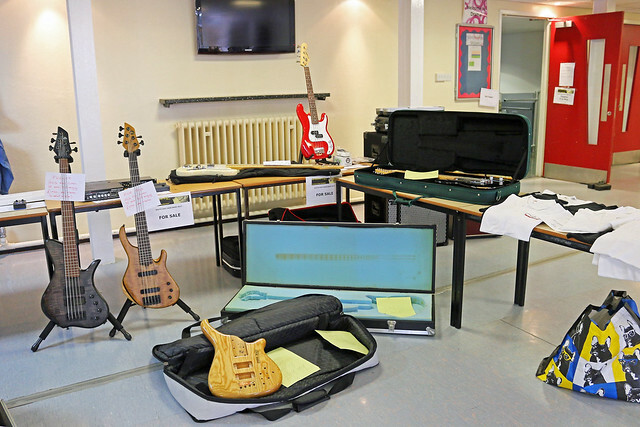 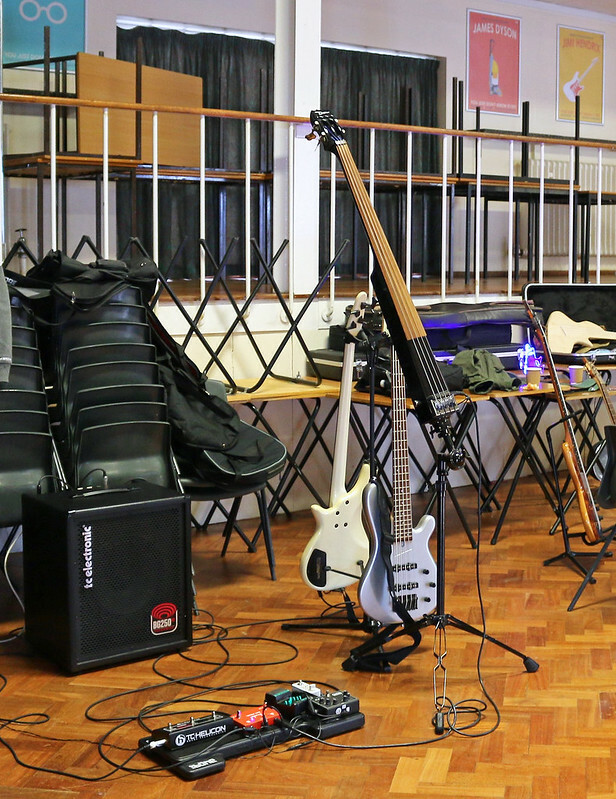 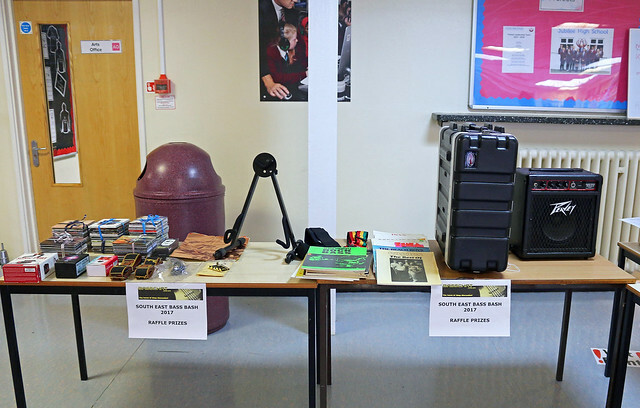 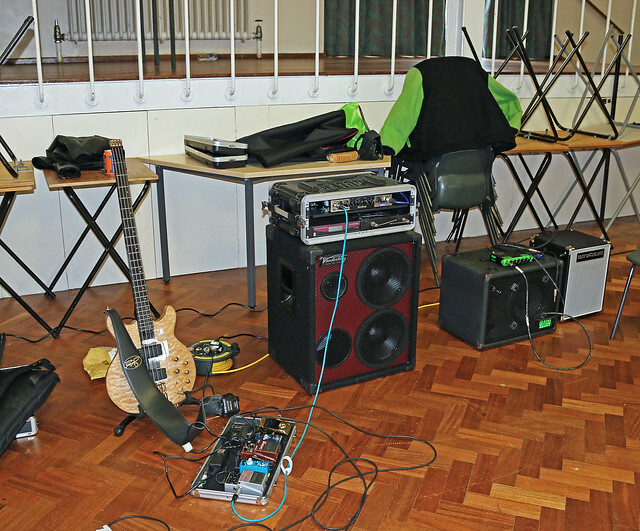 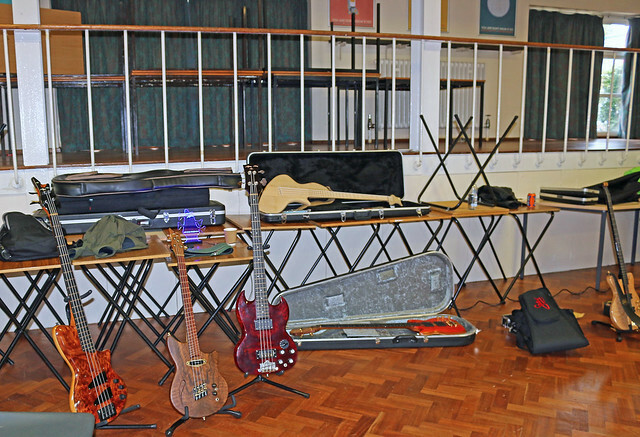 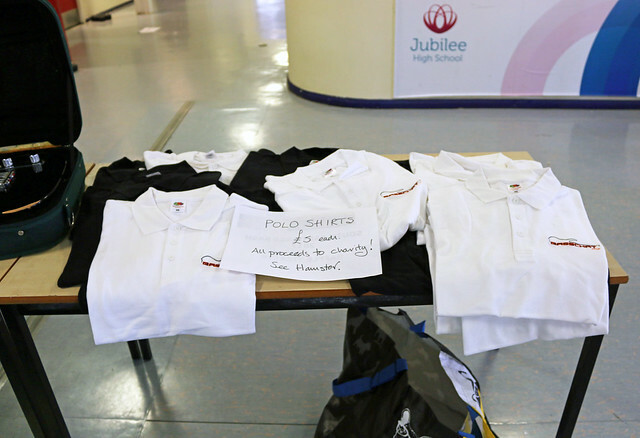 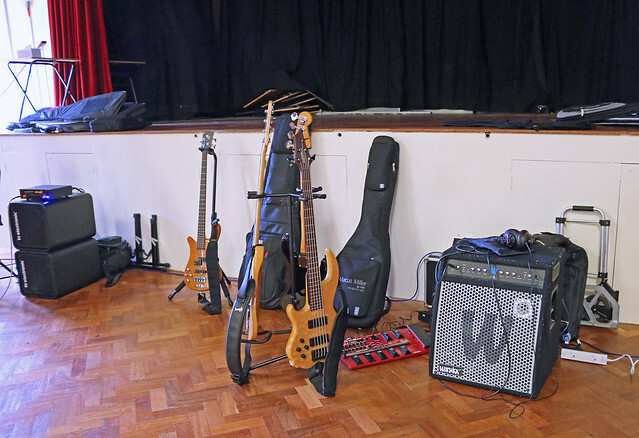 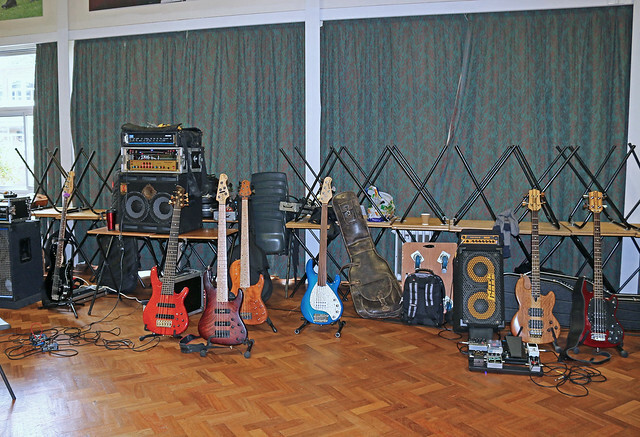 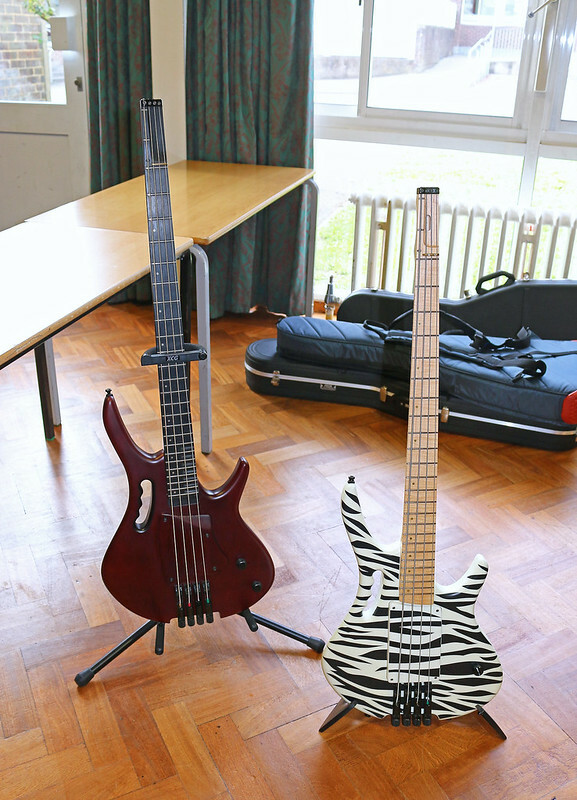 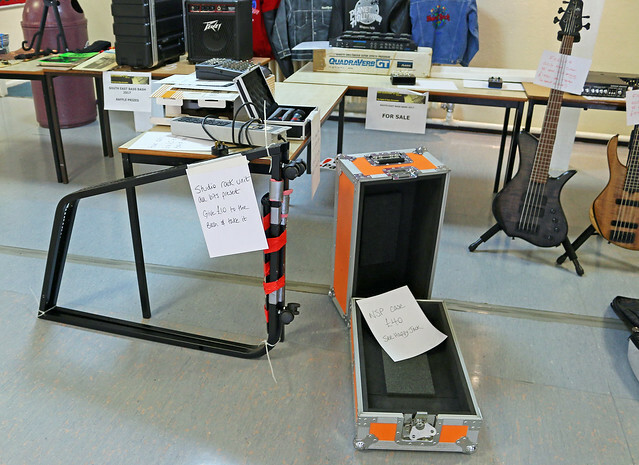 Our usual September appointment with the Jubilee School in Addlestone was another well-attended GAS-fest with mouth-watering gear on show in the Main Hall. 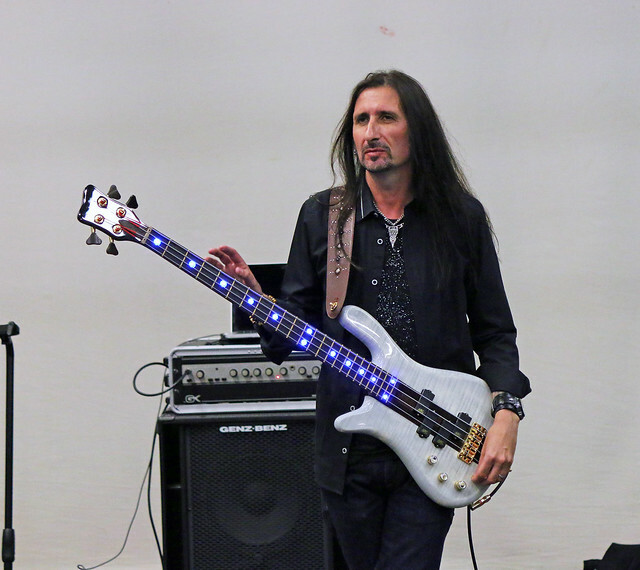 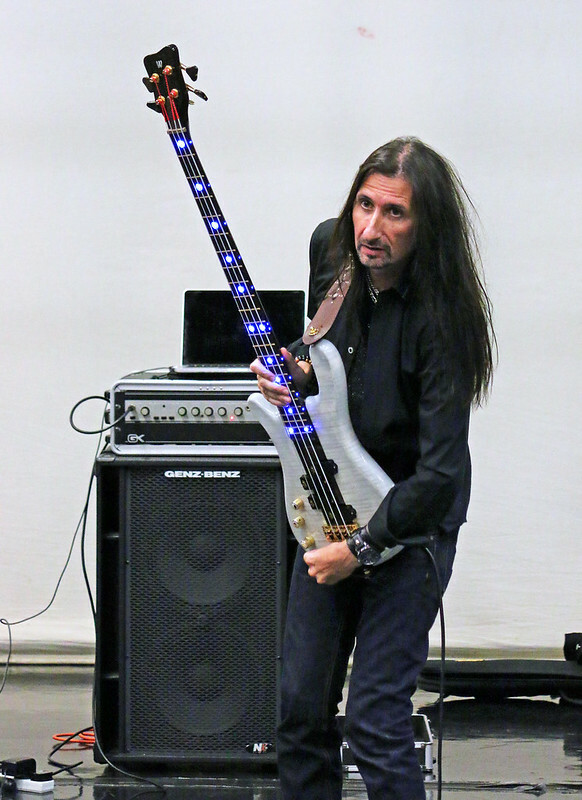 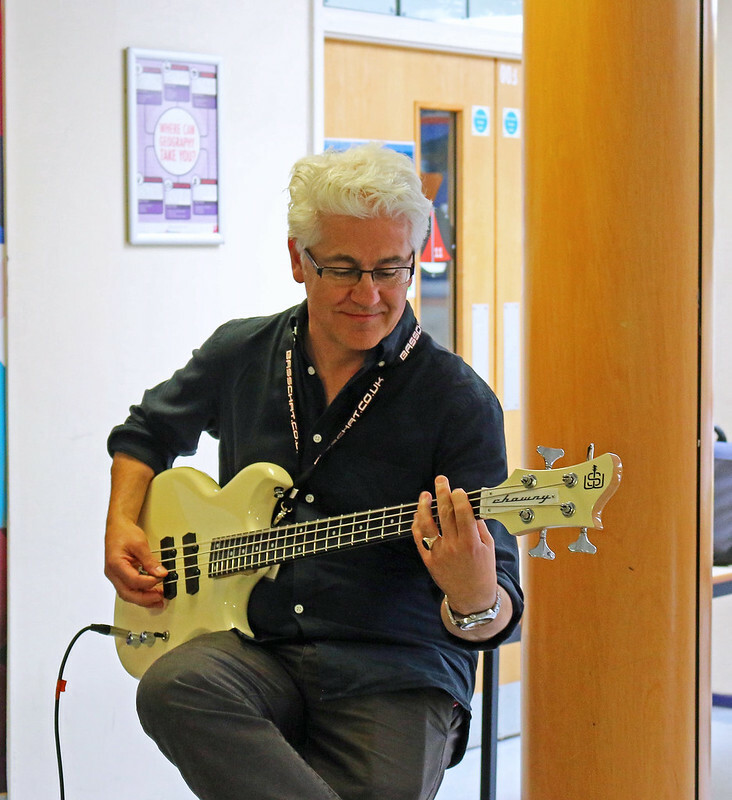 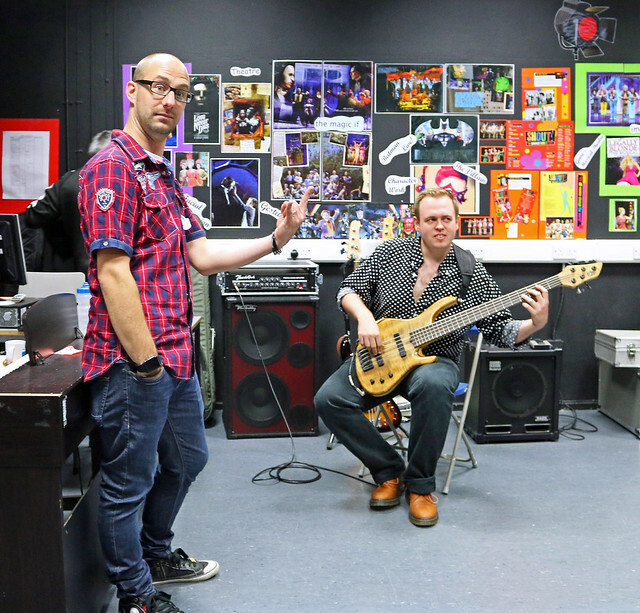 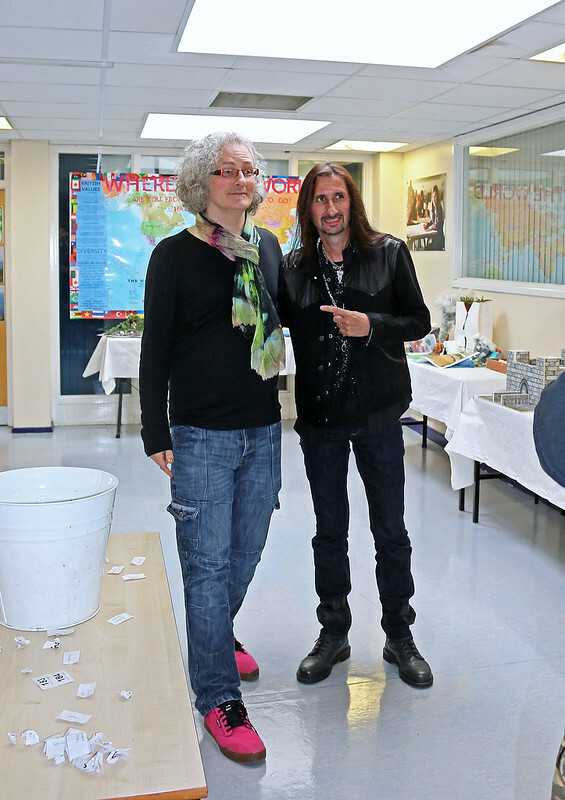 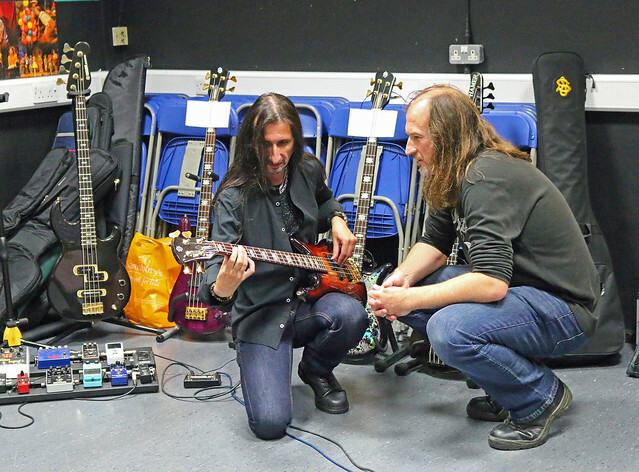 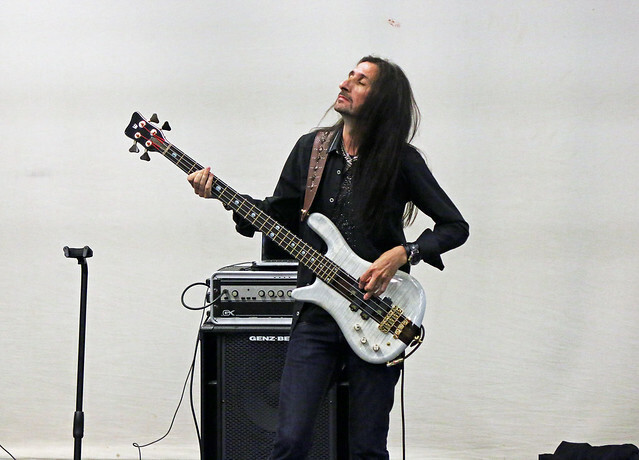 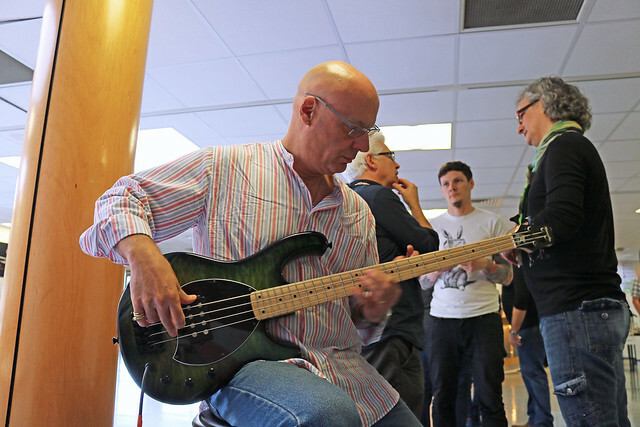 In addition, we had an early talk by Lee of Anderton Music, and two great guests offering two totally different takes on bass playing: Davey Rimmer of Uriah Heep and solo bassist Steve Lawson. 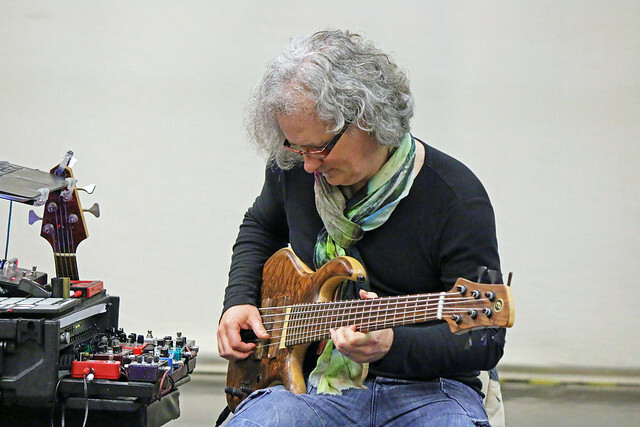 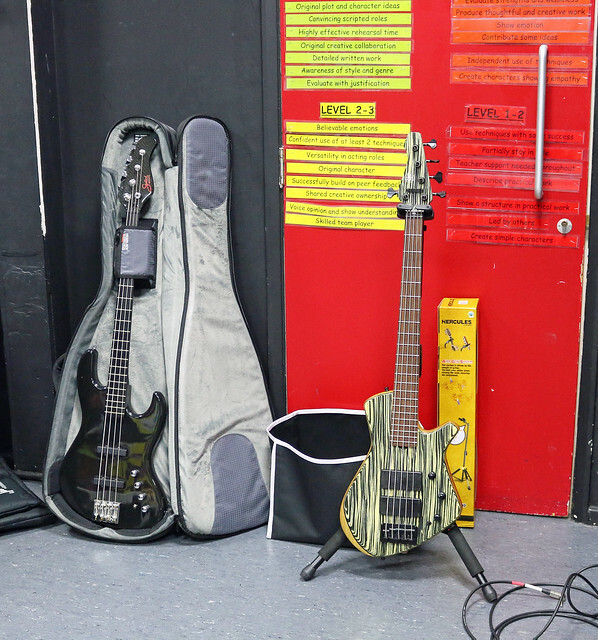 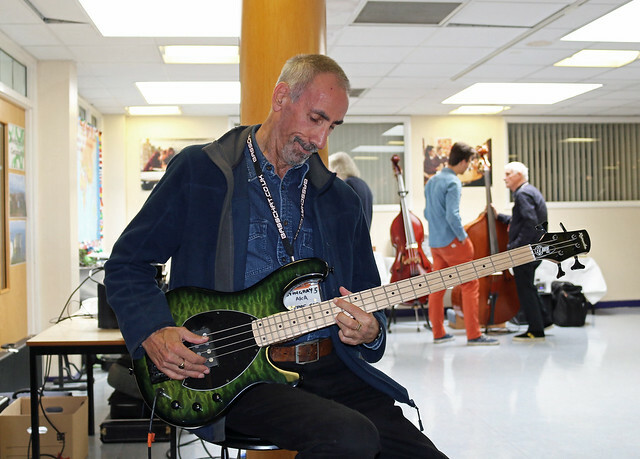 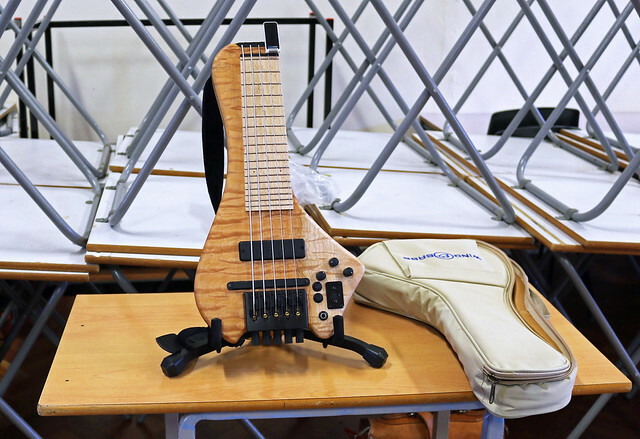 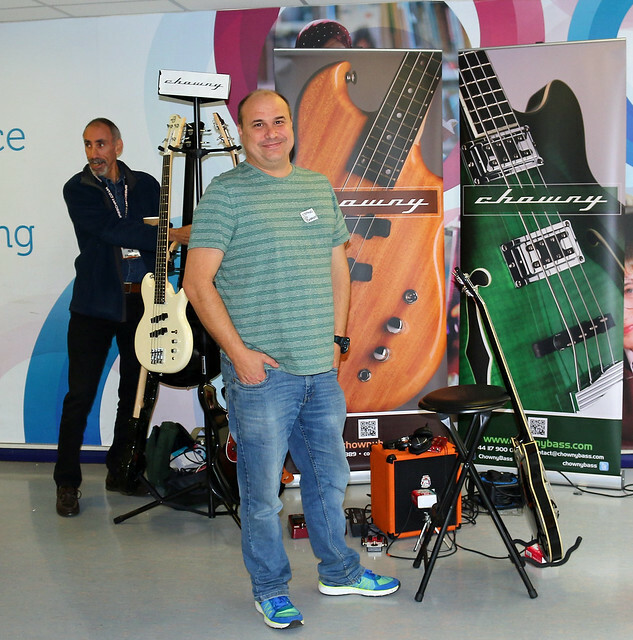 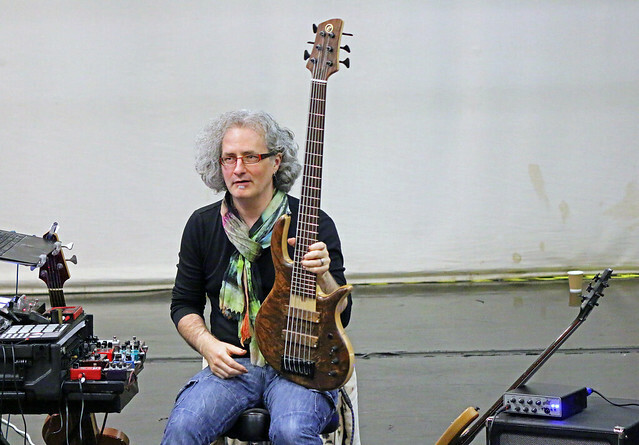 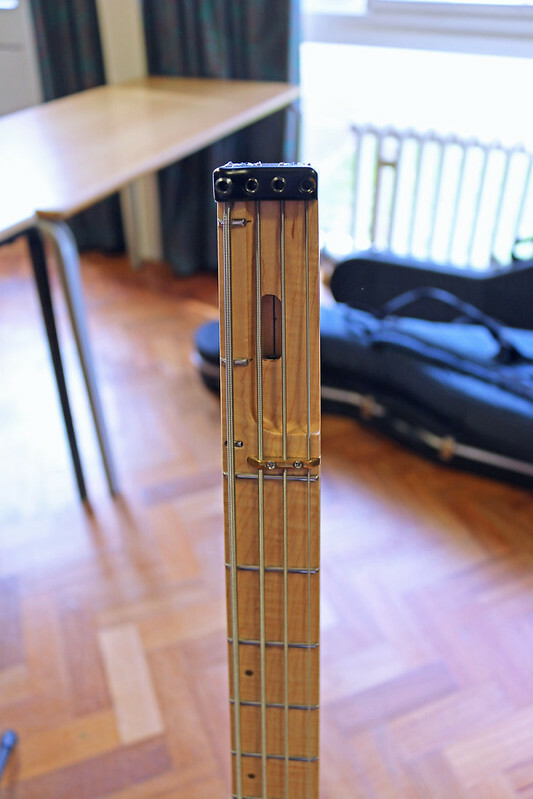 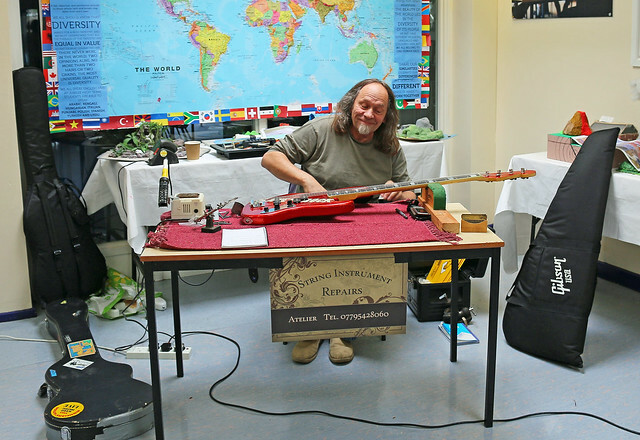 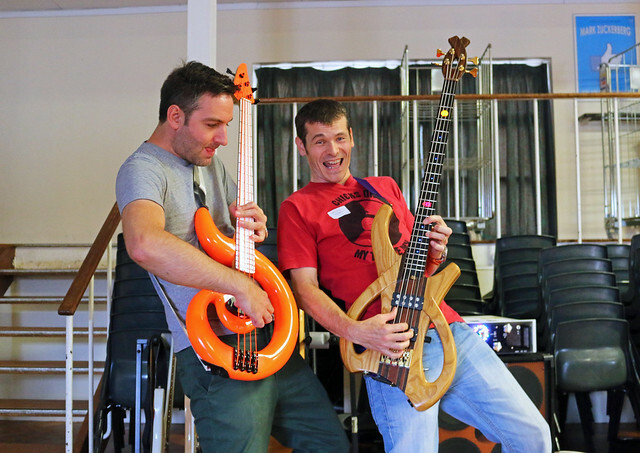 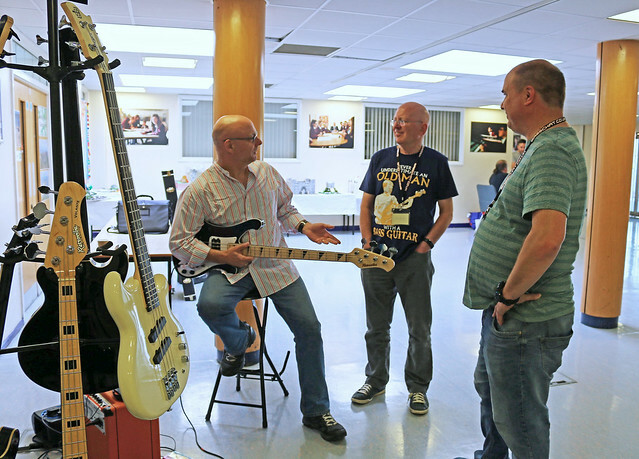 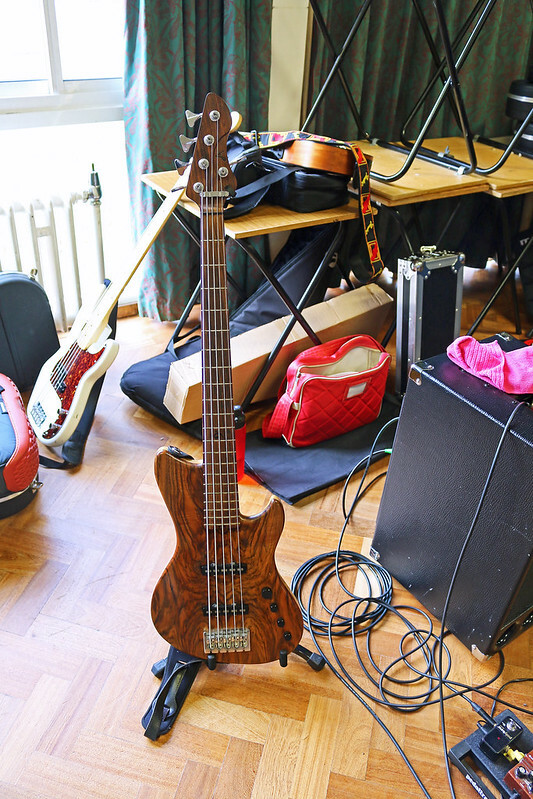 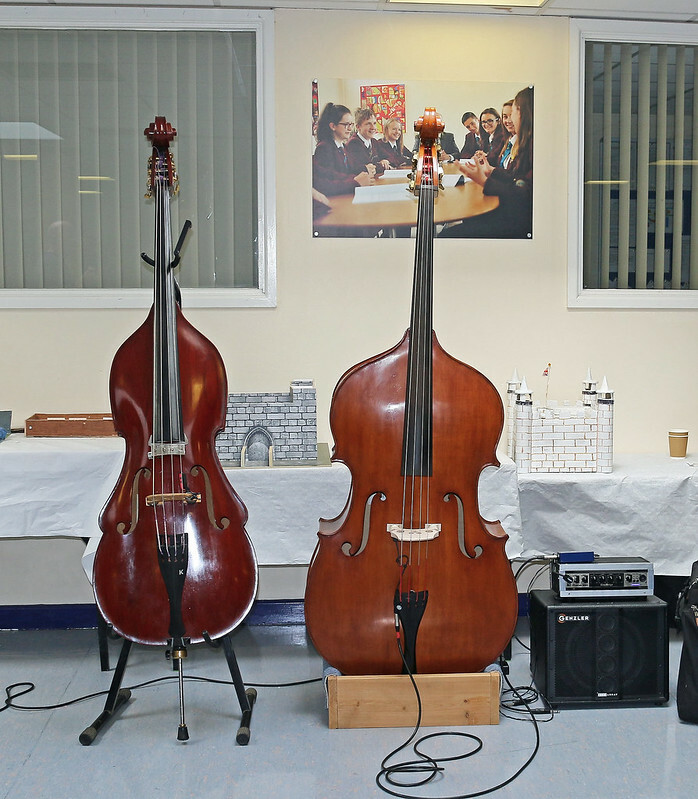 Our favourite luthier Ian Robinson was again there to rescue our instruments from bad setups, while Basschat affiliates Chownybass and OBBM had stands showcasing their companies’ popular wares. 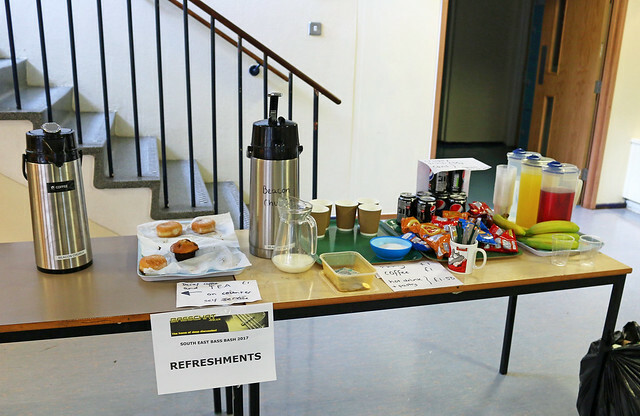 Add to the mix a well-stocked raffle table, the BC sales corner, refreshments and lots of catching up with friends, and you end up with another thoroughly enjoyable meetup. 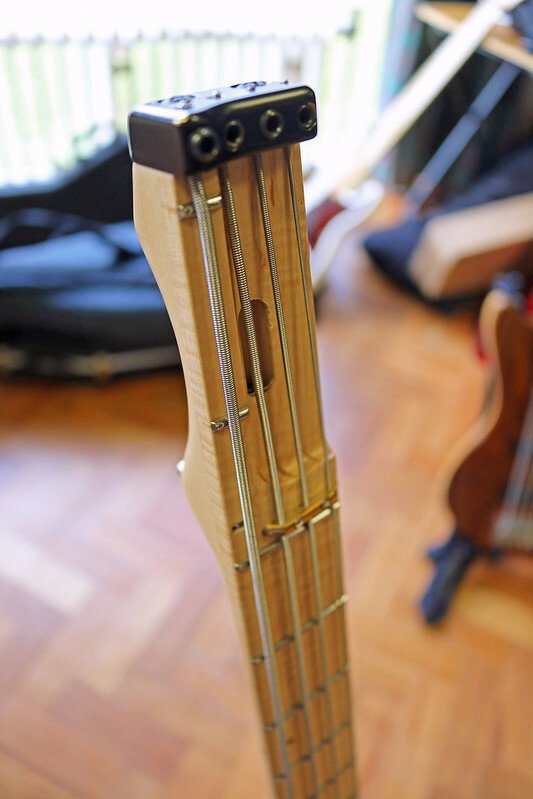 This is the bass Stingray5 was grabbing in the pic above. 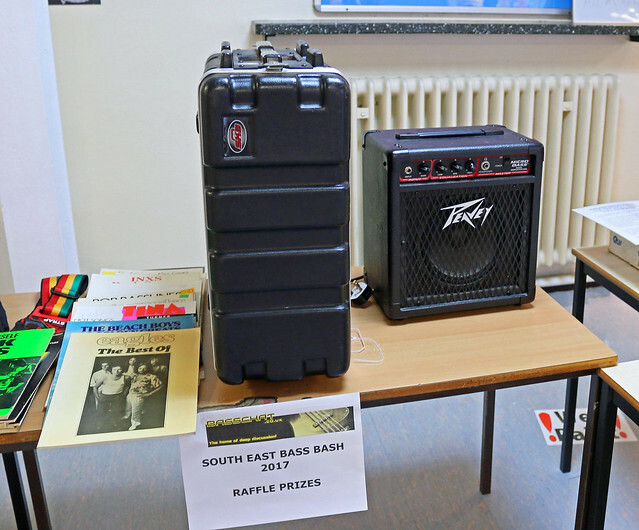 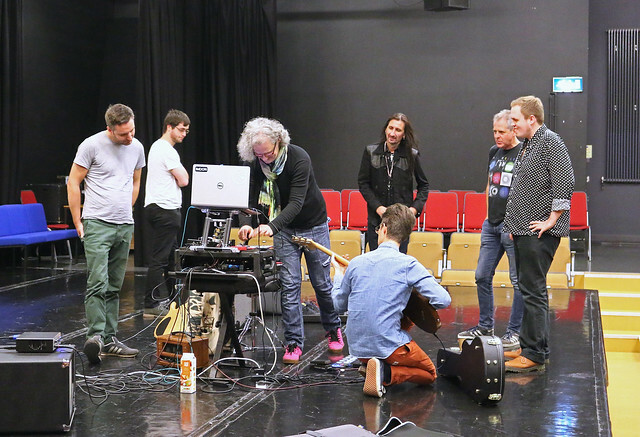 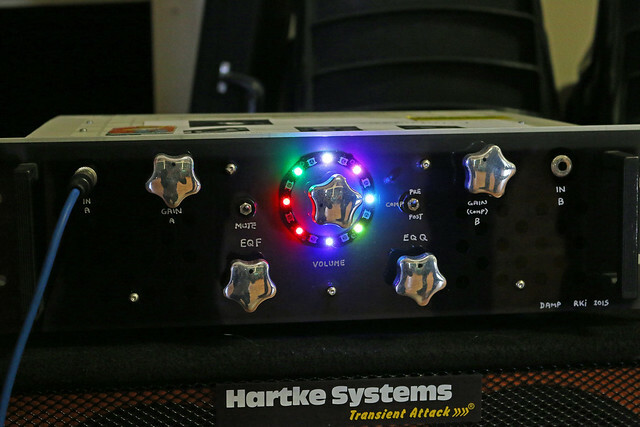 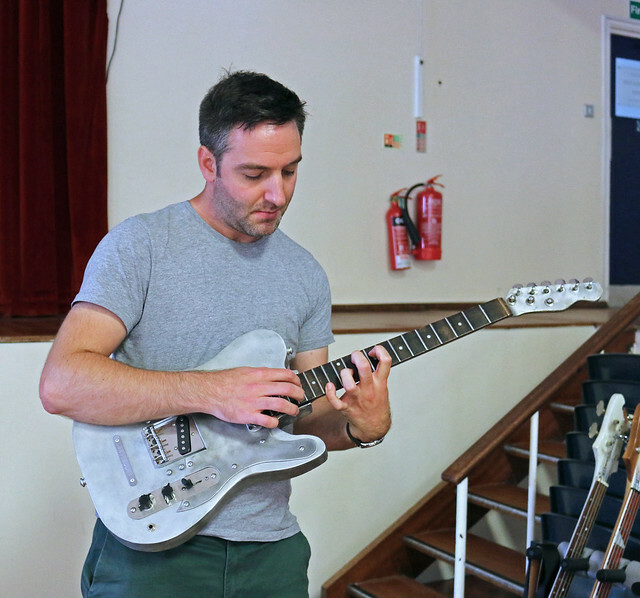 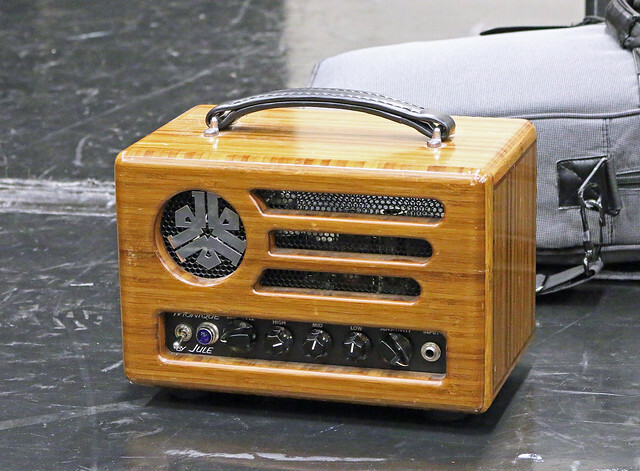 The effect pedal was to be added to the raffle prizes. 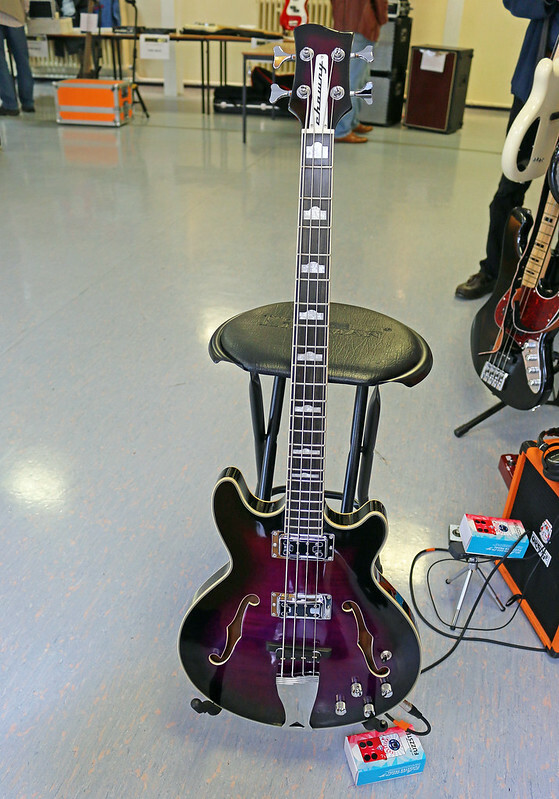 Feel free to ogle, GAS, drool and/or covet! 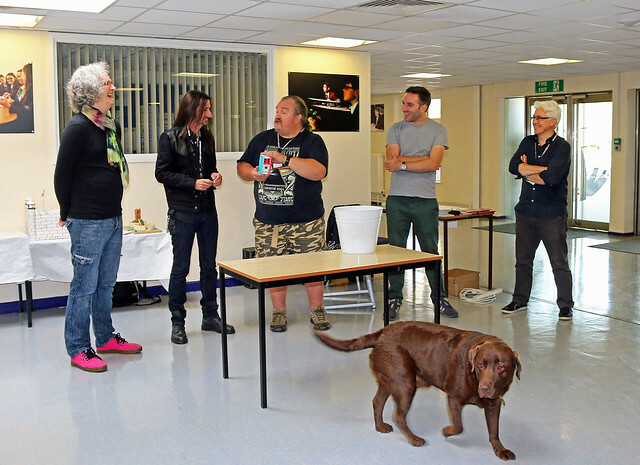 Steve, Davey, Hamster with the Chownybass pedal prize, Ped, Silverfoxnik, and The Doggie! 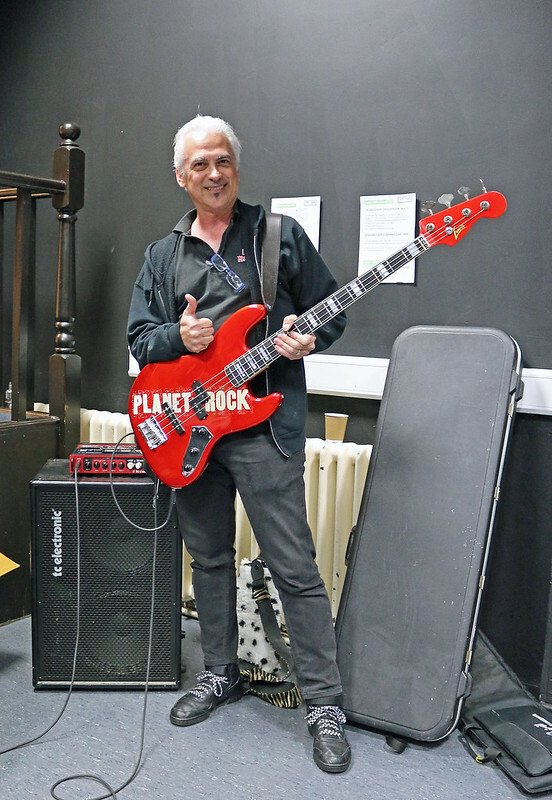 I’ve already had a planning meeting, well it was actually an excuse to go to the pub, about what contacts we can approach to make a guest appearance at next years SEBB. 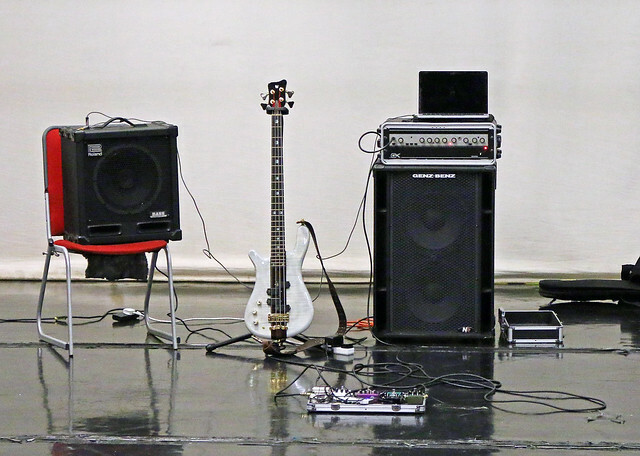 The short list is impressive! 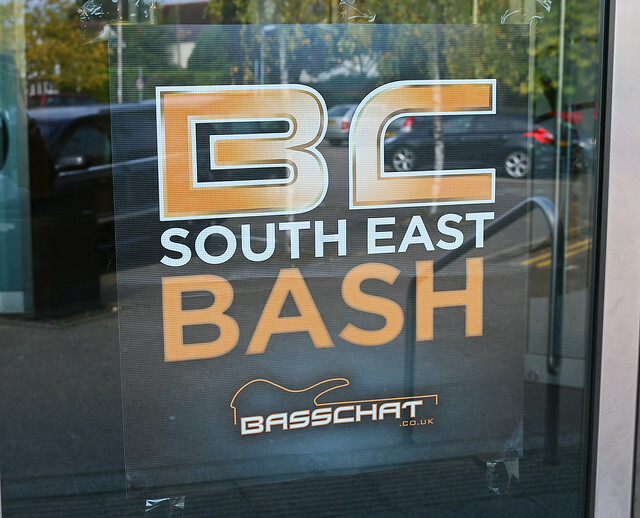 The date is already in the diary. 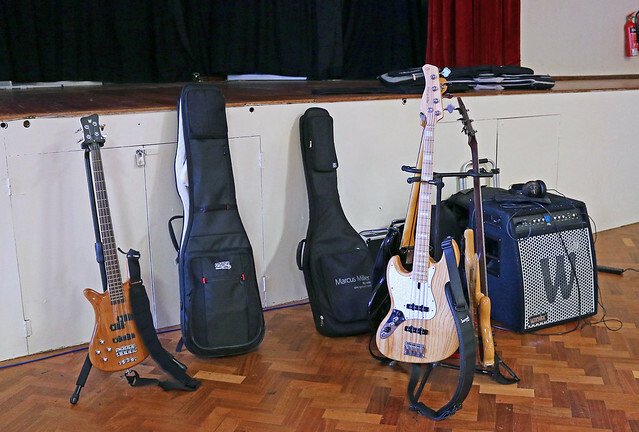 Watch this space for more info!